Identifying competitors goes hand-in-hand with keyword research as one of the fundamental foundations of any SEO campaign. Beyond knowing what the enemy is up to, it gives you a chance to benchmark your performance, choose your battles (why take on Goliath when you can plant a flag in an empty field?) and even steal some ideas. You can emulate their successes and learn from their failures. But the internet is a big place. How do you really know who you’re competing against? Your competitors can be broadly split into four different categories. 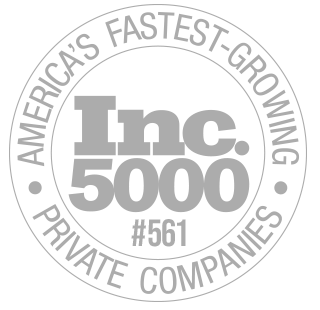 Direct competitors are the most obvious – the companies offering the same products or services as you. Think ASDA and Sainsbury’s. Microsoft and Apple. You probably already know who your director competitors are. Your indirect competitors are businesses that sell the same products as you, but also operate in other areas. AccuRanker offer Samsung as an example of an indirect competitor to Jessops: they sell digital cameras, but among a much wider product range. Indirect competitors can be harder to identify, but thorough keyword research can flush them out. Replacement/perceived competitors are harder to identify. They don’t necessarily offer the same product or service, but do compete for the same resources or customer base. Mobile phones are a different market to digital cameras, but phone manufacturers became competitors with Kodak the minute the blueprints for the first cameraphone were drawn. Audience research is the key to identifying these, to see where crossover interests lie. Social listening tools like Hootsuite and Social Studio are useful, as are customer surveys. Google Consumer Surveys and Google Analytics affinity groups are good places to start. Beyond business competitors, there are also those sites clogging up the keywords you want to rank for. They can be anything. Wikipedia pages, magazine articles – anything that’s stopping you from hitting the top spot. Once you’ve fixed your keyword targeting, these will be right in front of you. They may not be redirecting your customers’ cash, but they are funnelling valuable SERP traffic from you, and as such must not be ignored. The best place to start in identifying the first three types of competitors is in the real world. 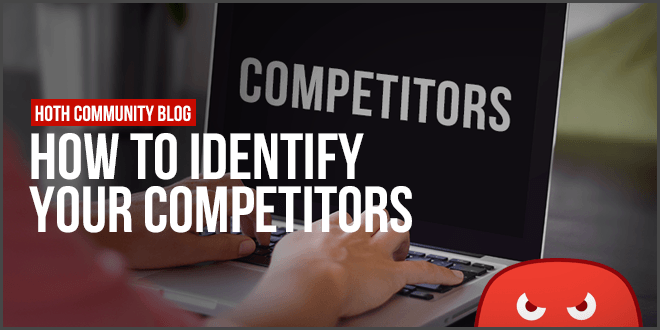 If you’re an SEO working for a client – start by asking them who their competitors are. They may have a very different perception if it’s an unfamiliar sector for you. At the very least, you can see what keywords they’re targeting, which may inform your campaign. It’s important to note though that high street competitors aren’t necessarily online competitors. SEO and social may not be a focus for them (yet, at least). But by establishing that, you’ve just identified a gap you can exploit. And you’ll need to keep tabs on them so you know when they do start pumping money into search. Once you’ve identified a spread of good keywords to target, the trick is identifying who’s who in each battle. Who’s directly targeting, who’s found good fortune and how strong each competitor is. There are a range of free SEO tools you can use to get the lowdown on good, the bad and the ugly in each SERP battlefield. Using these tools you can see who’s winning by virtue of good SEO, who’s got lucky and identify keywords that are currently unexploited. Once you know who your competitors are, what keywords they’re targeting (relative to what keywords you want to target) and how strong each one is, it’s time to choose your battles. That is to say, there’s no point launching into a fight for a high volume keyword with $50 a month to spend when your competition is a world-beating multinational with millions in the war chest. But by this point, you may have identified gaps in their strategy that you can exploit. Clickz has an excellent step-by-step guide for evaluating your SEO competitors on an ROI basis. I think it depends on where you compete with them and in which market you are competing now.